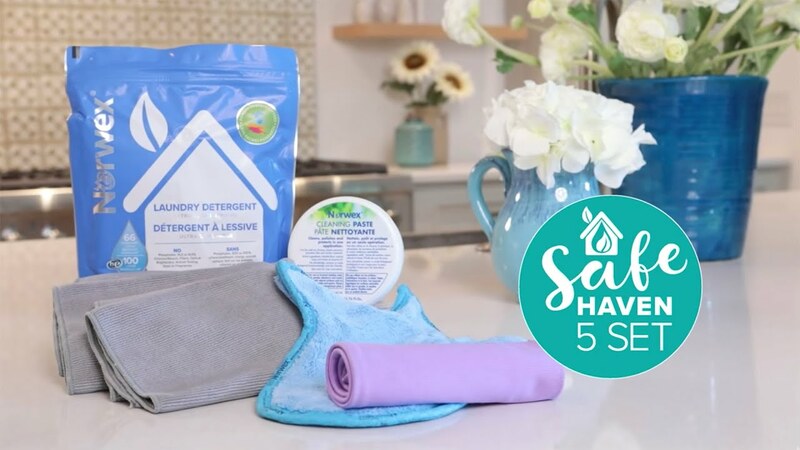 These five Norwex products work together to get your entire home super-clean, super-fast, and even help you reduce chemicals as you go! The dynamic duo of our EnviroCloth® and Window Cloth handle most of your cleaning projects with Norwex Microfiber and water only. The plush Norwex Microfiber Dusting Mitt has electrostatic action that attracts and holds dust and dirt like magic! Quickly clean window blinds, picture frames and more with just a swipe. Rely on Cleaning Paste for those really tough cleaning jobs—and our Laundry Detergent to help reduce chemicals and get your clothes their cleanest! All you need for making your home cleaner and safer, more quickly!